In May 2017 the Scottish sculptor Bobby Niven visited the Herbarium here at RBGE for a tour of the collection. 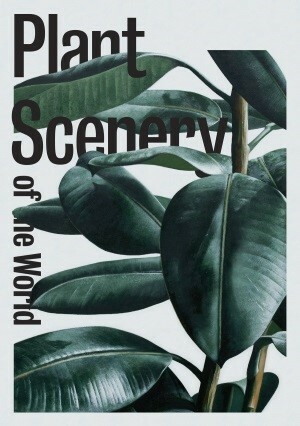 He was on a fact finding mission as he had recently been commissioned to produce work for the Plant Scenery of the World exhibition at Inverleith House, which runs from 29 July to 29 October 2017. He was shown the breadth of the collection by Lesley Scott, Assistant Herbarium Curator. Together, they explored the pressed plant specimens, wood samples and the spirit collection (fruits and flowers preserved in alcohol). 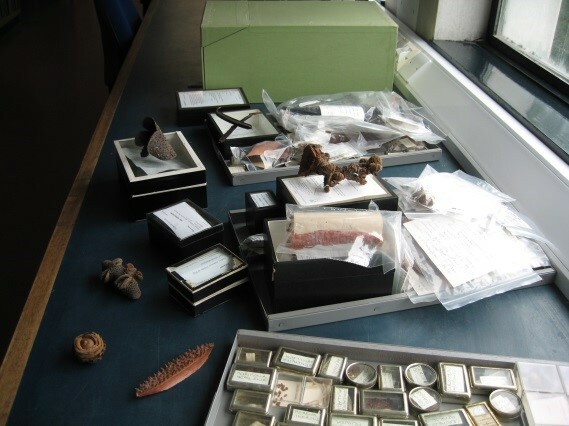 Having access to a research collection of three million specimens is a terrific resource but how on earth do you choose the material to work with? It wasn’t long before they realised that the focus could be narrowed down to the carpological collection (the big dried seeds and fruits). 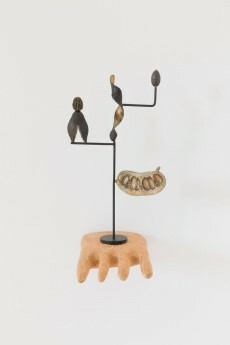 Being sculptural in nature, Bobby was attracted to many of the tropical fruits and seed pods and was excited to explore the possibility that they would be suitable for casting in bronze. In fact, on subsequent return visits, Bobby pulled out most of the extensive collection and had difficulties in making a final choice. For the work to truly reflect the RBGE research collection, provenance was a key factor. Bobby only chose material which had been given a name and listed the country of origin and date of collection. 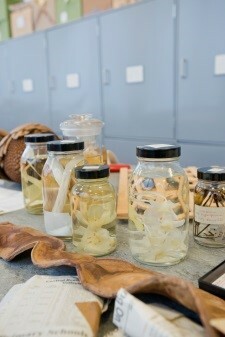 Much of the material is from tropical trees which have a conservation status of ‘Vulnerable’ or ‘Endangered’. RBGE botanists are currently working in the tropical regions to protect threatened habitats and are providing collaborating countries with base-line data that is used to create conservation plans. Further details about the cast specimens are available in the free guide when you visit the exhibition at Inverleith House. 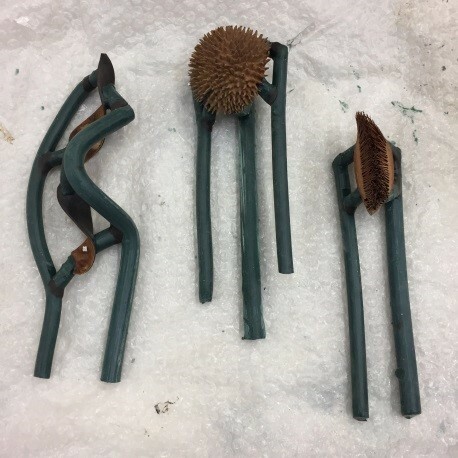 The casting process relies on the robustness of the material and as the seeds were too complicated in their structure to make moulds from, wax runners and risers were attached and then direct cast. This ensured that all the fine details could be seen. The wooden hands you can see in the finished pieces compliment and support the bronze casts – symbolic of the original trees where the seeds would have flourished. Artists wishing to visit the Herbarium collection or the Library & Archives at RBGE, please email herbarium@rbge.org.uk and library@rbge.org.uk respectively.